Sometimes I just have to snap the shutter. 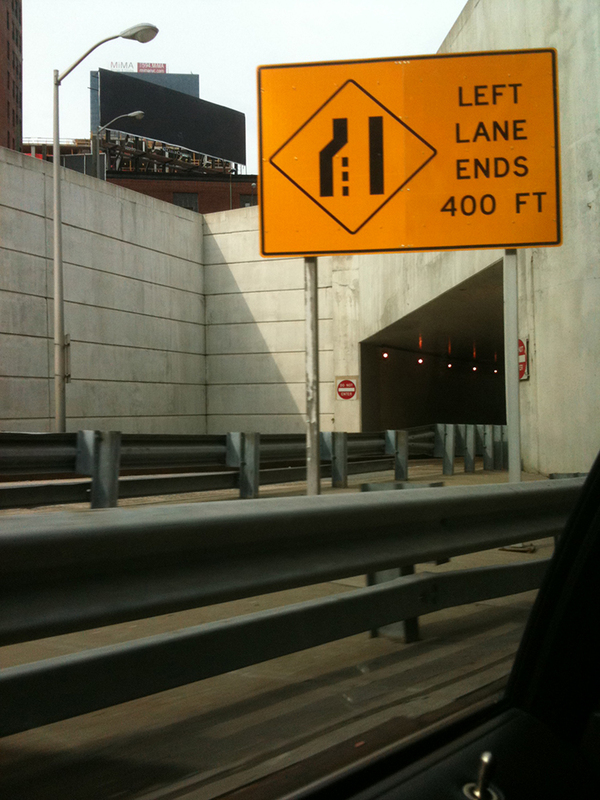 I took this photo in traffic just before entering the Lincoln Tunnel, headed to New Jersey from New York City, years ago. I like the geometry of the square sign, the trapezoidal opening to the tunnel on the other side of the road and the diagonals of the guard rail. This entry was posted in Personal Stories and tagged artistic process, creativity, New York City, photography, signs, street photography, street signs, visual arts, visual elements. Bookmark the permalink.